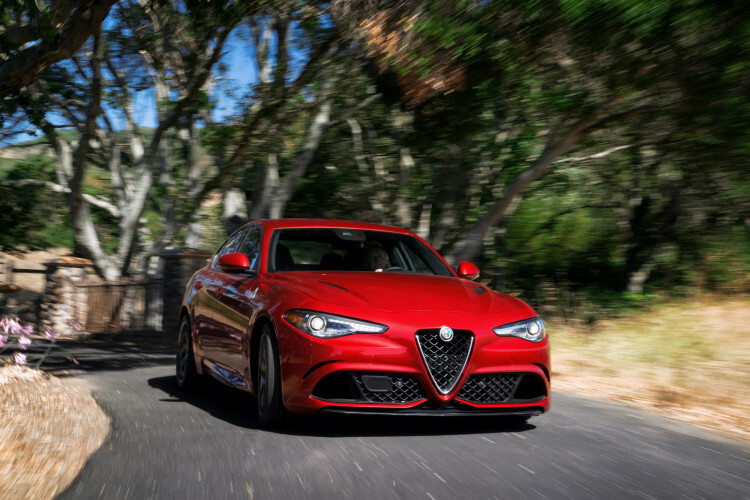 The Alfa Romeo Giulia Quadrifoglio is probably the most dangerous player in its segment. It’s a car that almost every enthusiast loves, even despite its many flaws. In fact, I claimed that it was my favorite car I drove all last year. It’s a sensational car to drive. So when word got out that a coupe version might be made (which would be awesome if it was called the Giulietta), we became very excited. Something from Alfa Romeo to rival the BMW M4 would be amazing. But what if it was a hybrid? There is a new report from Autocar that claims this upcoming Giulia coupe will have a Quadrifolgio variant that packs hybrid tech. The idea is that it will use a version of the HY-KERS (Kinetic Energy Recovery System) from the Ferrari LaFerrari. So, essentially, it would have its standard 2.9 liter twin-turbocharged V6 but also an electric motor and some batteries. That would allow this future Giulia Quadrifoglio Coupe to make around 640 hp. Currently, the Alfa Giulia Quadrifoglio makes 505 hp from that very twin-turbocharged V6 and it’s already the fastest car in its segment. With 640 hp and hybrid technology, it would smoke the competition without trying. It would also have instantaneous throttle response, thanks to the electric motor’s instantaneous torque. That would pose a very dangerous threat to the BMW M4, and its upcoming replacement, as well as every other car in the segment. If this is for real and Alfa Romeo is really making a Coupe version of its Quadrifoglio with a 640 hp hybrid setup, looks anything like the car pictures in Autocar’s article and called the Giuliette Quadrifoglio, I might have give Alfa Romeo a blank check and allow them to write any number they want on it for that car. That is, if Alfa Romeo doesn’t mind accepting some pocket lint, a handful of jelly beans and a Lawrence Taylor football card as payment. Because that’s all I’ve really got. Next post Should the next BMW M3 be a hybrid?